Throughout your life your feet are constantly subjected to the stresses and strains of everyday life. Do you need advice on Foot Care? Never ignore minor foot problems. They are unlikely to correct themselves and usually get worse with time. Do you have foot pain? Heel pain? Arch pain? Ball of foot pain? 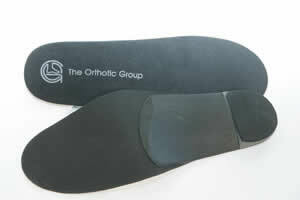 Then try orthotics, stabilise your feet! The TOG GaitScan offers the most up to date gait assessment technology to assess the way you walk and help determine the orthotic prescription. Permanent removal of one or both sides of a painful ingrowing toenail or total removal of nail to cure pain and infection. Is your health professional registered? The HCPC protects a number of professional titles including Chiropody and Podiatry. If you are using one of these titles, by law, you must be registered with the HCPC. Where do Patients travel from? Sue Ferguson regularly sees patients from all over Kent and East Sussex. This includes Ashford, Canterbury, Hastings, Maidstone, Rye, Tenterden. 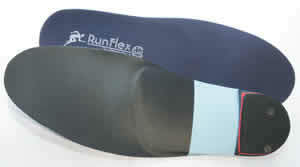 Patients are increasingly willing to travel further for computerised gait analysis and custom made orthotics, as well as ingrowing toenail surgery. Locally patients come from the villages of Appledore, Battle, Beckley, Benenden, Bethersden, Biddenden, Bodiam, Brookland, Cranbrook, Flimwell, Frittenden, Goudhurst, Hamstreet, Hawkhurst, Headcorn, High Halden, Marden, Newenden, Northiam, Peasmarsh, Pluckley, Staplehurst, St Michaels, Smarden, Wittersham and Woodchurch.